You can brighten up your teeth. Whether you have a special date, want to brush up your appearance for a key business meeting or simply don't like what you see when you look in the mirror, you can transform your smile by whitening your brown teeth. From drinking coffee or tea to smoking and other not-so-healthy habits, brown stains are often challenging to avoid. Instead of giving in and accepting your dingy smile, spruce up your looks with either a professional or an at-home whitening system. Before you make any drastic decisions about your smile, the American Dental Association suggests -- on their Mouth Healthy website -- that only a dental professional can expertly help you to select the best option for you from the full range of whitening treatments available. According to the ADA, not all whitening products work for every staining situation. 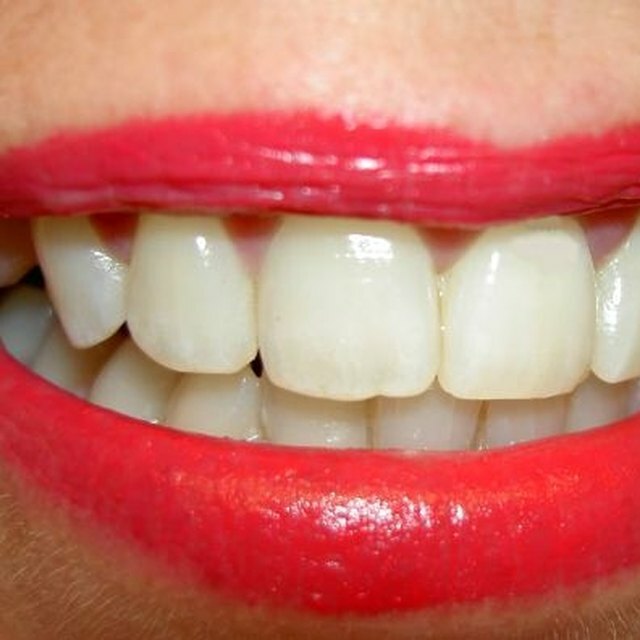 For example, the ADA notes that brown-tinted teeth often don't respond as well to bleach as yellow ones do. Instead of going through a lengthy and expensive trial-and-error process, ask your dental professional for an expert opinion. If you're looking to lighten your brown smile but don't want to go the more extreme route of dentist-assisted treatments, a whitening toothpaste is a low-key inexpensive option. The ADA grants their Seal of Acceptance to whitening toothpastes that have polishing ingredients or chemicals that go above and beyond the normal mild abrasives contained in regular toothpastes. Whitening toothpastes won't bleach your teeth to a bright white -- but they will remove surface stains. For example, if drinking tea has given your teeth mild brown staining, a whitening toothpaste may help to get rid of some of the tea residue and improve the look of your teeth. Ingredients that you will typically find in a whitening toothpaste include hydrogen peroxide, papain -- a protein-dissolving enzyme -- or the stain-removing chemical, sodium tripolyphosphate. Moving a step beyond a whitening toothpaste often means trying an at-home bleaching kit. Many major dental-care manufacturers include at-home whitening lines. Popular choices for at-home whitening typically include whitening strips or paint-on gels. These products, according to the ADA, typically contain peroxide as a main ingredient, which can bleach the stains out of the tooth enamel. The length of time that you will need to use the product depends on the concentration of ingredients and the color of your teeth. Some products, for example, advise that you leave the product on for 20 minutes, 20 days in a row. With such products, you'll need to restart the at-home process more often if you drink coffee or tea or if you're a smoker. 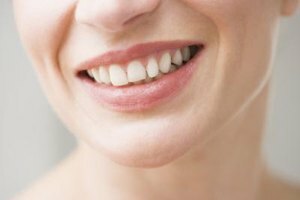 While the ADA notes that bleaching won't fully fix all brown stains as well as it does yellow ones, an in-office or professional procedure can greatly increase the whiteness of your smile. Your dentist will use a professional-strength bleaching ingredient and possibly a laser to accelerate the whitening process. Unlike at-home treatments that typically take several days to a month for visible results, a professional whitening procedure is usually a one-time or one-visit option. These procedures, while likely to remove your brown discoloration, may cause tooth or gum sensitivity. If you need multiple whitening sessions to remove all of the staining, the ADA recommends scheduling them at least one week apart to minimize any pain or discomfort.